I hope that all of the dad’s out there had a wonderful and relaxing Father’s Day. We had the busiest weekend we have had in a long time. It was great, just non-stop. To celebrate Father’s Day, we decided to go to Annapolis to get some crabs. We were planning on going to an out of the way crab place, but there was a wait to park. Yup, you read that right. There was a line 20 cars deep of people just trying to get a parking spot. We decided to head back into town and had a great late lunch/early dinner. We took a nice walk and looked at the boats. It was a great afternoon. With all of the crazy of this weekend, I really didn’t have a ton of time to do much grocery shopping or meal planning. 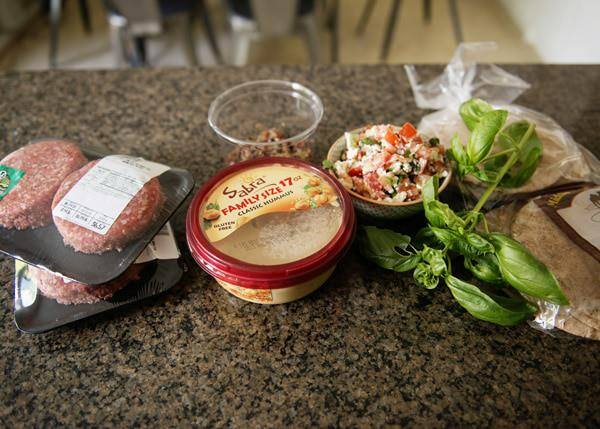 I took a look in the fridge and took a quick inventory and came up with these Mediterranean-inspired burgers. 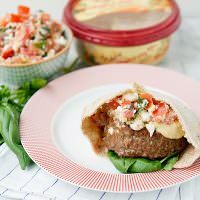 I had made a tomato and feta dip for Van’s that I wanted to use, some burgers that I bought at Whole Foods, whole wheat pitas, hummus, and fresh basil from my garden. I put it all together and hoped for the best. My husband declared this the best burger I have ever made. Everything worked together and it was delicious. It will be on heavy rotation this summer for sure. I was lucky enough to go to the Sabra Headquarters in Richmond a few weeks ago. I have always loved their hummus, but I had no idea how many different ways that you can use hummus in your recipes. I do not eat mayonnaise and you can substitute hummus for mayo in just about every recipe. Who knew? 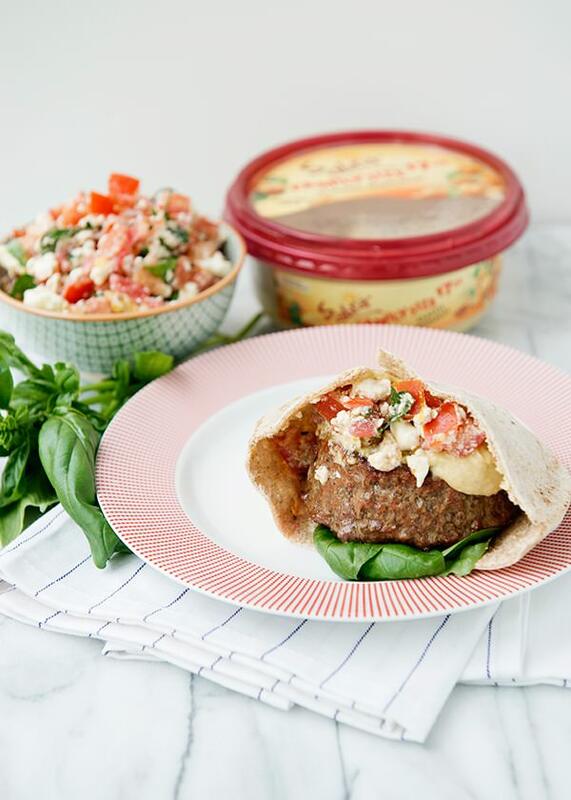 Instead of adding mayo to your burger, try using hummus instead. So rich and creamy, and an added bonus – less fat and lots of protein. 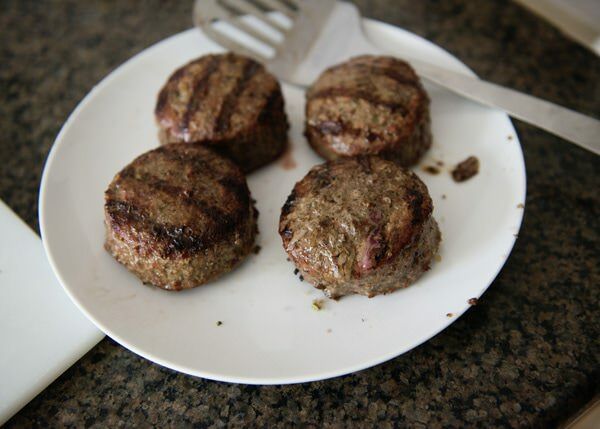 Season burgers with salt and pepper. Grill to your preferred temperature. In a small bowl, combine garlic, lemon zest, lemon juice, oregano, salt, pepper, and basil. Gently fold in tomatoes, green onion, and feta. Transfer to a bowl and garnish with more basil if desired. 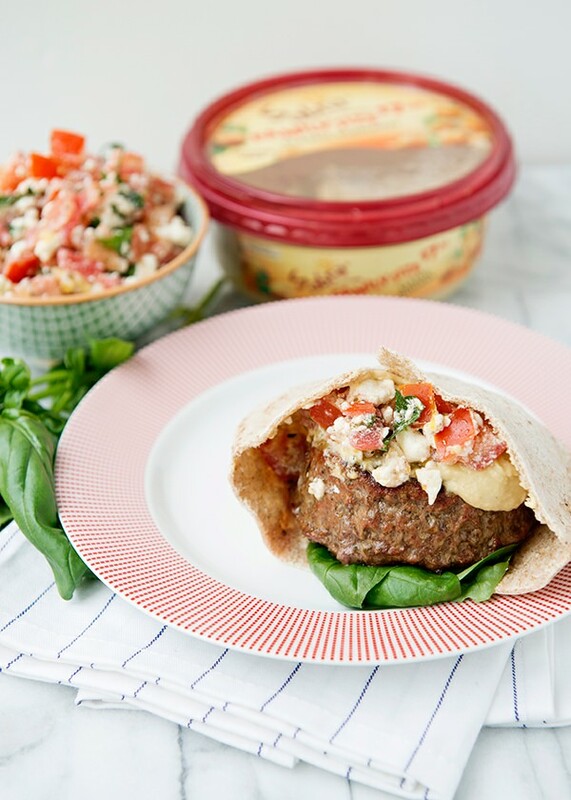 Add burgers to pita, top with a generous helping of hummus , tomato and feta dip, and fresh basil. 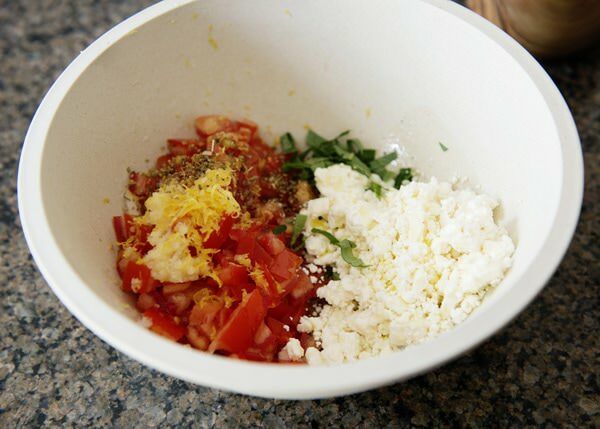 To make the tomato and feta topping: In a small bowl, combine garlic, lemon zest, lemon juice, oregano, salt, pepper, and basil. Gently fold in tomatoes, green onion, and feta. Transfer to a bowl and garnish with more basil if desired. 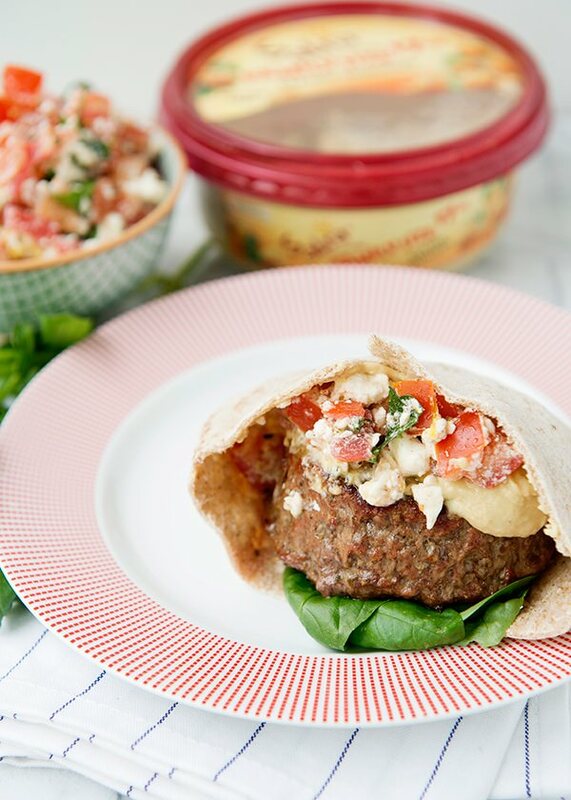 Add burgers to pita, top with a generous helping of hummus, tomato and feta dip, and fresh basil. Disclosure: I am being paid by Sabra for this post. I am compensated for my time, however all opinions expressed are my own. Yum! Putting this on the menu for this week! My husband would love this! Pinning to add to the menu soon! Aahhh…you were in my backyard this weekend! 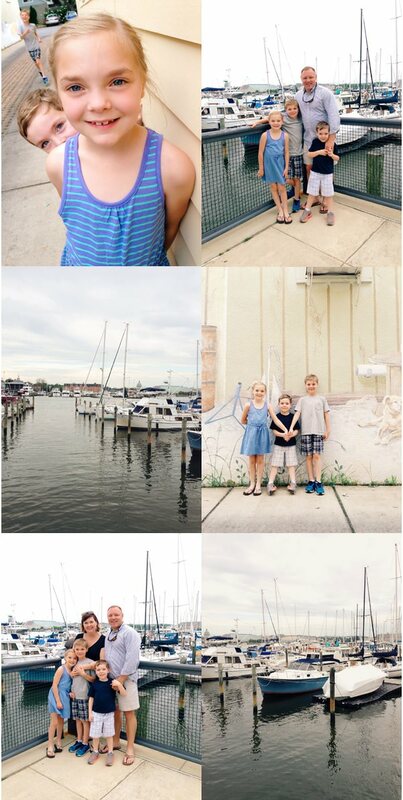 It was a gorgeous weekend to be in Annapolis and Eastport. I hope you enjoyed it and will return again – but not in October. October is boat show month – equally horrendous parking dilemmas. A suggestion – park at the Naval Academy stadium lot and ride the shuttle into town. Some fun spots – Chick n Ruth’s – a landmark, Joss Sushi, Hats in the Belfry just for fun. Thanks Theresa for the suggestions! Great sounding burger, I always like one that is a bit not traditional. The pita is the greatest touch. I, too, love using hummus as well as smashed up avocado in place of mayo, makes for a more interesting “sandwich”. Me too. I like a fancy burger. And the pita is so good because it less bready. What great flavors! Double yum! Wow! This looks so delicious and what a great idea. Stumbled upon your blog and love everything. Making these for the family tonight!